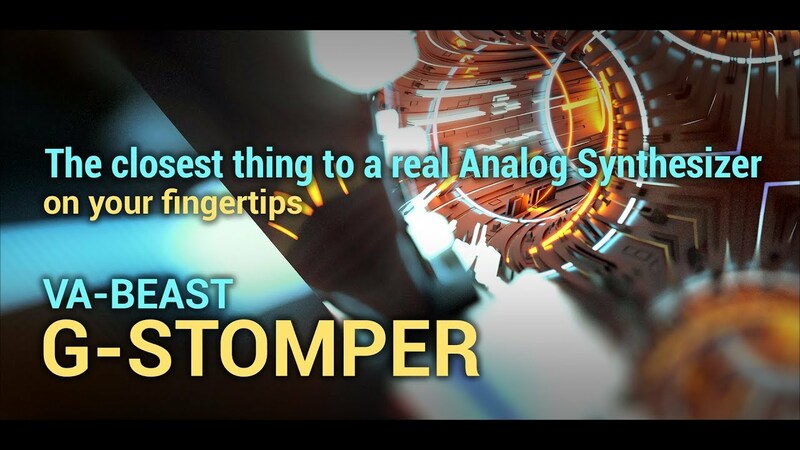 G-Stomper VA-Beast is a polyphonic virtual analog Synthesizer to produce complex synthetic sounds of any variety, designed for experienced sound designers as well as for beginners. So it’s up to you if you just explore the Factory sounds or if you start right away with designing your own sounds in impressive studio quality. Its sound capabilities paired with the intuitive and clearly laid out interface simply makes G-Stomper VA-Beast to the ultimate Mobile Synthesizer. You will be able to create the sounds you want, and you’ll do it faster than on any other mobile synthesizer. For more details, check out the User Manual. If you have any issues, please check the FAQs or Contact us. For any further support join the Support Forum. Also take a look at the G-Stomper VA-Beast Synthesizer Product Page at KVRAudio.com. Artwork and graphical concept by Voger Design. Not sure which App is the right one for you? For direct feature comparison, check out our Product Comparison Chart. The preset is based on the 'Salamander Grand Piano V3' linux sampler library by 'Alexander Holm'. Very special thanks to Alexander for giving the permission to use his library as base for this pack. General Questions and Discussions • latency, what has changed?